This spiky plant has many qualities. A protector of space with the penetrating blue of the flowers staring down the aeons of time, makes it a useful essence if one needs to get a grip on time; especially if you already have a plan. 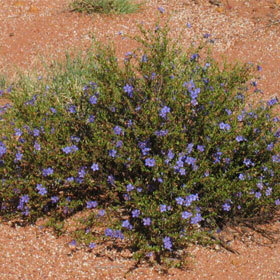 This Australian desert plant has a similar aspect to the hazel of the coppices of England.